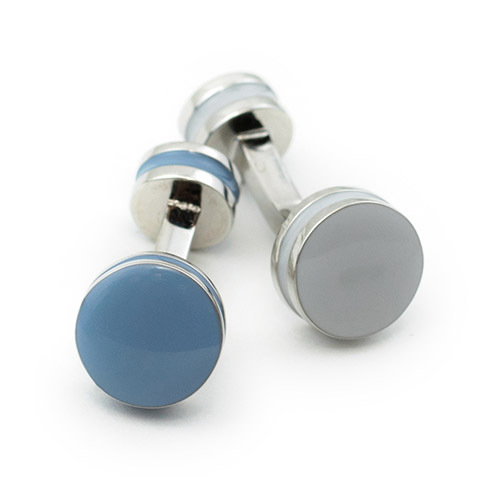 On cuff link is shaded brightly grey and the other in a low saturated blue. 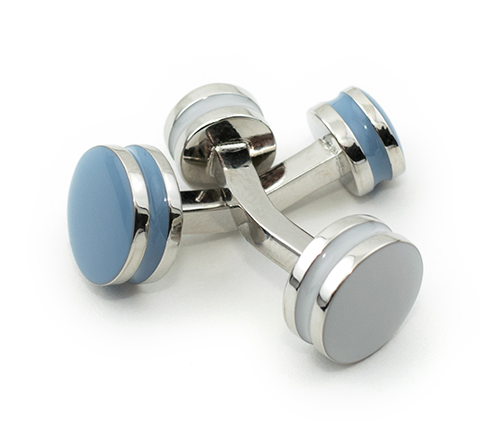 Smart and clean for a gentleman styled cuff. 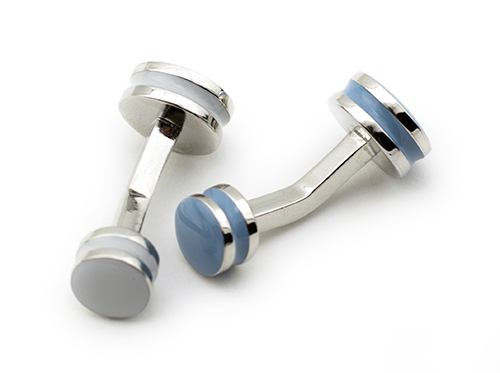 Brass with nickel free metallic plating.